nuclear-capable underwater drone called Ocean Multipurpose System Status-6. Maybe this is another reason we might want to add an ASW capability to our ships. This entry was posted in Anti-Submarine Warfare by Chuck Hill. Bookmark the permalink. This was leaked by the Russians back in 2015. I wonder why it took so long to acknowledge. As far as I am concerned, if one of these is detected, it is a weapon and it is fair game. Destroy on sight. The complication is how to tell the difference between this and other unmanned under water vehicles. More information on the weapon. Its larger than originally thought. covert shores has some thoughts on countering these. 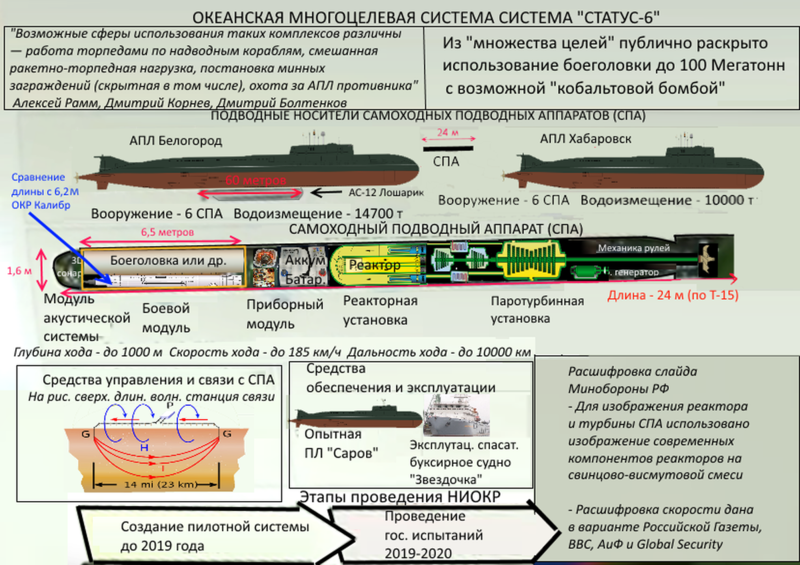 http://www.hisutton.com/Countering_Russian_Poseidon_Torpedo.htmlountering these.